While developing KitKat, Google decided to replace the existing home app, and turn all the home screen functionality over to the new Google Search app. 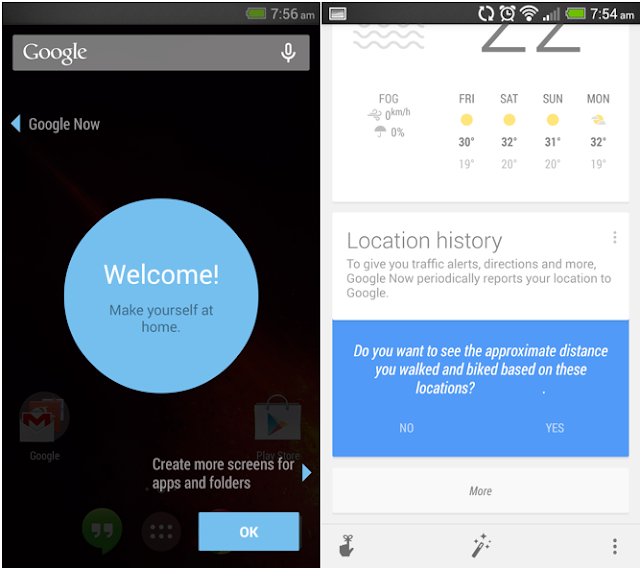 Google Search isn’t just integrated into the home screen now, it really is the home screen. Everything you see on the home screen, wallpaper, icons, widgets, and even the app drawer, are now all drawn by the Google Search app. Instead of launching Google Search as a completely separate app, you’re already technically inside Google Search when you unlock your phone. So now when you pull your home screen to the right, it immediately brings up a panel that includes your full Google Now interface. So now you can launch Google Now and Voice Commands directly from your homescreen without starting an app or using a widget. When you are into the Now panel, there will be a selection of new cards now. Google is now keeping track of what people search for in different locations, so that it can bring up relevant websites and other content automatically. For example websites with popular attractions nearby or sites with movie info about the movie that you are about to see at the cinema. Google Now will now also bring up news that you really care about, based on what websites you usually care about. 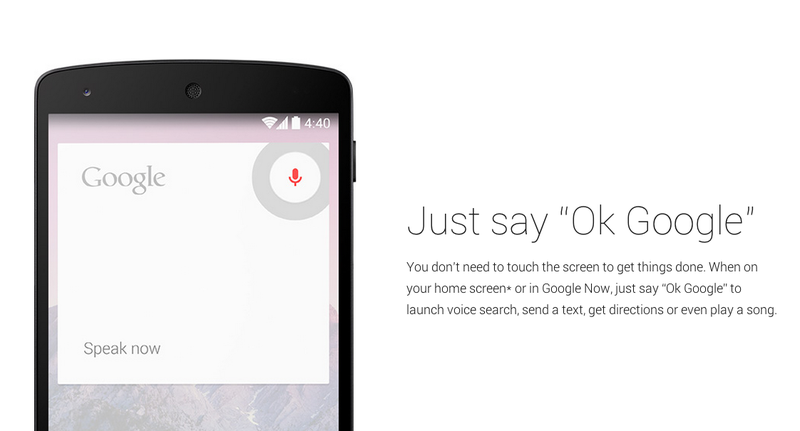 And you can now say “OK Google” to start searching directly from the home screen.